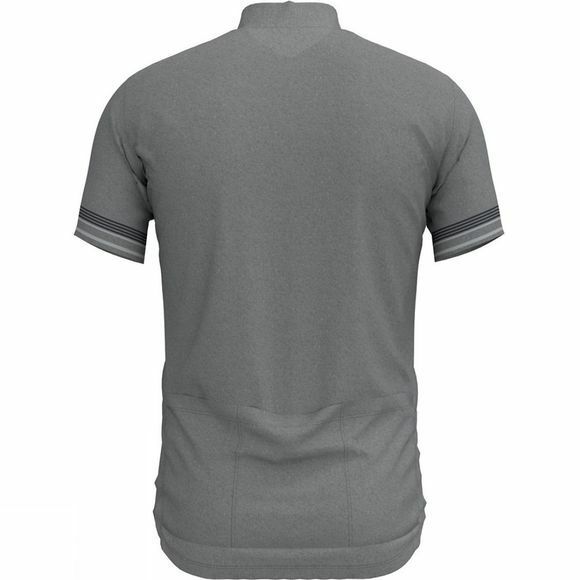 Get your summer cycling training into gear with the classic good looks and low-key styling of the Men's Element Stand-up collar short sleeve 1/2 zip top from Odlo. Crafted with technical jersey melange fabric, this tailored cyclist's tee comes loaded with Odlo's commitment to quality and obsessive eye for detail. 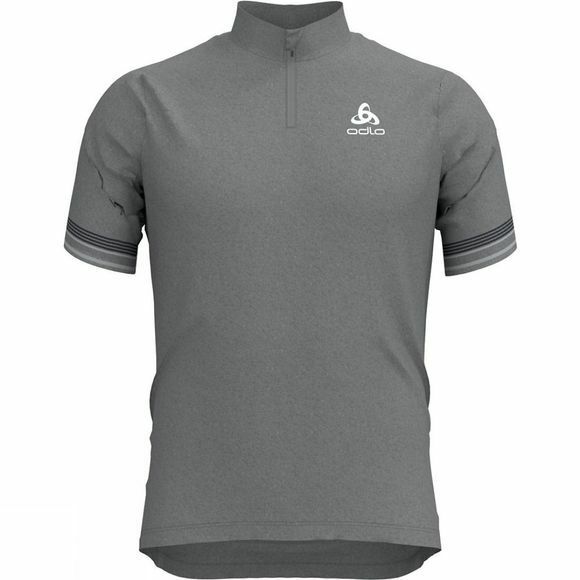 Breathable, moisture wicking and soft, the Element delivers great moisture management and next-to skin comfort, while reflective details help to keep you visible in low light conditions. Meanwhile, handy back pockets make it easy to refuel and hydrate while you're tearing up the tarmac. With its emphasis on blending classic looks with modern performance, the Element is a great way to crank up your summer cycling wardrobe with style.